First of all, if you’re running a standard sizing die with an expander ball, just pull your decapping rod assembly out of your die and measure the expander ball. 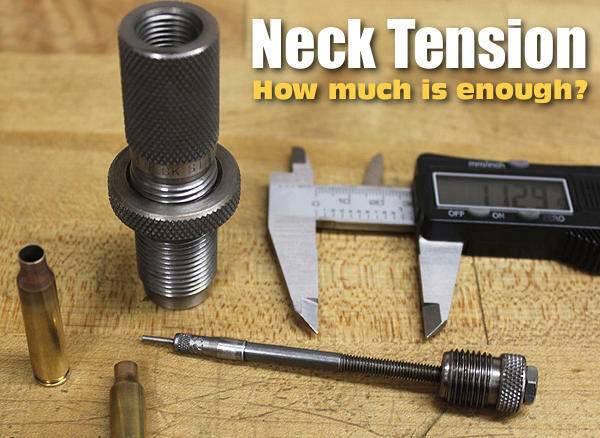 What I prefer is to have an expander ball that [can give] you .002″ in neck tension [meaning the inside neck diameter is about .002″ smaller than the bullet diameter after passing the expander through]. If you want to take the expander ball down in diameter, just chuck up your decapping rod assembly in a drill and turn it down with some emery cloth. When you have the diameter you need, polish it with three ought or four ought steel wool. This will give it a mirror finish and less drag coming through your case neck after sizing. 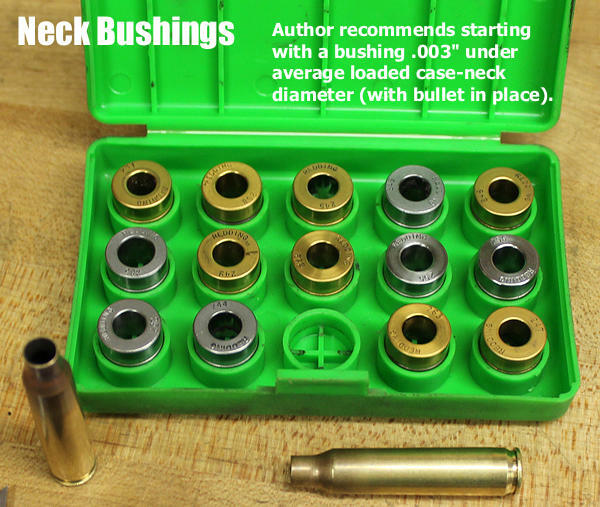 Share the post "Reloading Basics: Neck Tension, Expander Balls, and Bushings"
Pretty worthless because it maters whether you are speaking of a bolt or AR. What about the condition of the inside of the neck? I promise that those cases you just fished out of the ultrasonic cleaner are going to be a lot more grabby than fired cases when you seat bullets. Does that count as more neck tension? You can certainly feel a difference if you use an arbor press to seat bullets, and if you have the K&M with the force measurement option you can see it too. This article is exactly correct for normal to match loading ammunition. I have loaded semi-auto ammo for 35 years and have always used .003 thousandths neck tension and have never crimped and never had an issue. M1A three position match shooting and AR 308. How do you measure to get the first 10 loaded rounds? You had to pick a bushing how did you do that? Is “springy” the opposite of hard? I’m new to reloading. (I haven’t started, yet, but I’m trying to do research to determine an initial set of tools.) It seems to me that as brass becomes harder, the diameter prior to seating the bullet would be a less reliable indicator of the neck tension. 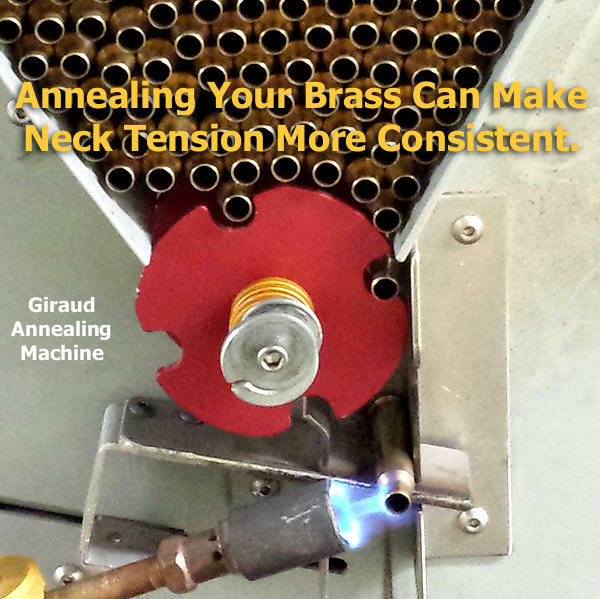 The corollary to that would be that if you are annealing brass prior to sizing(? Or is it shaping?) you would need a different diameter ball than if you are not annealing to get the same diameter prior to seating the bullets. Am I understanding this? Is it the case that the “ball” is not a sphere? Any other urls of strings regarding the basics of reloading would be appreciated!